I love homemade gifts and I love helping my children created their own one of a kind gift that no one else could give but them. This one I'm very excited to share with you. 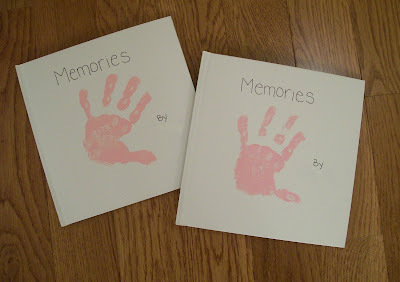 My daughter made memory books for her Grandparents for Christmas presents. I love how they turned out. I came across these plain book covers at a local shop. They were only $0.25! I had to get a little creative and create the inside of the book. I used card stock for the backing and legal sized paper for the pages. The legal sized paper turned out to be a little bit shorter than I was hoping--but what are you going to do? I put the pages all together and used my good ol' sewing matching to bind them. I then used modge podge to glue the card stock to the book cover. 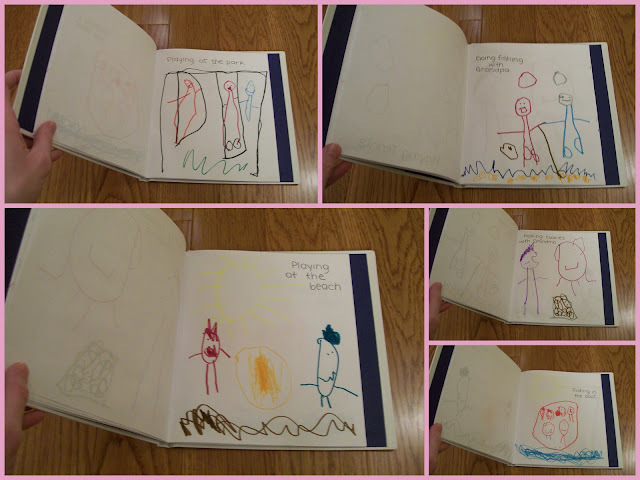 After assembling the book my daughter drew pictures of memories she has had with her Grandma and Grandpa. 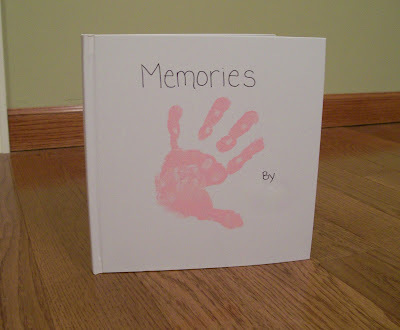 She's quite the little artist and had so much fun documenting her memories. excited to send her homemade gifts. I think it made a sweet keepsake. I absolutely LOVE the book and all of the great pictures. It is a treasure.